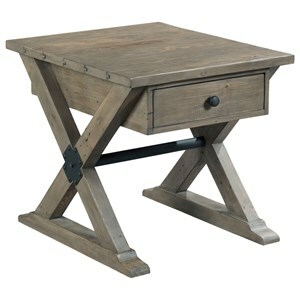 Characterized by a trestle base and metal accents, this chairside table exudes charming farmhouse style. The small scale piece is crafted from reclaimed wood for an authentic, rustic look, while one drawer and one open shelf provide necessary function. The Reclamation Place Farmhouse Chairside Table with Display Shelf at Morris Home in the Dayton, Cincinnati, Columbus, Ohio, Northern Kentucky area. Product availability may vary. Contact us for the most current availability on this product. 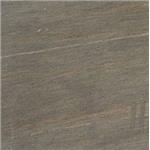 Wood & Finish Water-based finish is environmentally friendly. 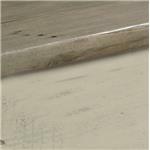 Finish & Paint Options Pieces available as shown in Sundried Natural, Willowed/Sundried Natural, Rustical, Rubbed Charcoal, and Tobacco finishes. Select pieces available in two finish options. Case Detail Block legs, trestle bases. Case Construction Crafted of reclaimed woods with mixed metal components on select pieces. Crafted from reclaimed woods and available in a mix of eco-friendly finishes, Reclamation Place helps you capture rustic farmhouse style in your home. 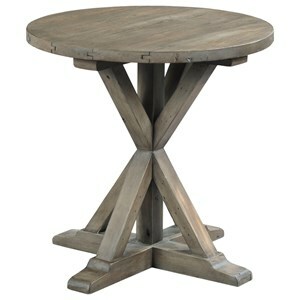 The collection offers a variety of accent table options for your living room, with details like trestle bases, block legs, and metal accents that speak to farmhouse of rustic industrial style. 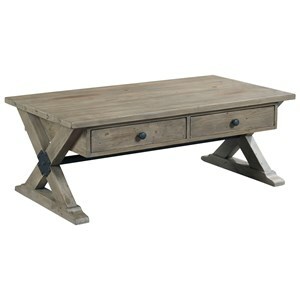 Equally at home in an urban loft or country cottage, this collection is full of natural character and rustic charm. 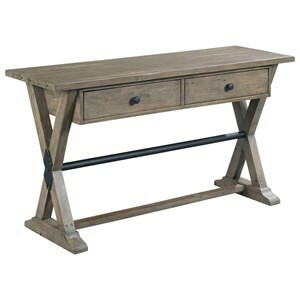 The Reclamation Place collection is a great option if you are looking for Rustic furniture in the Dayton, Cincinnati, Columbus, Ohio, Northern Kentucky area. Browse other items in the Reclamation Place collection from Morris Home in the Dayton, Cincinnati, Columbus, Ohio, Northern Kentucky area.